Prager asserted violations of the First Amendment, the California Constitution, the California Unruh Civil Rights Act, the UCL, and the Lanham Act, as well as breach of the implied covenant of good faith and fair dealing. The court kicked out the federal claims and declined to exercise supplemental jurisdiction over the state claims. Nor did Prager sufficiently allege harm resulting from the allegedly false policies and guidelines. Although Prager alleged decreased viewership, ad revenue, and advertiser relationships, nothing suggested that this harm flowed from Google’s publication of its guidelines, as opposed to the decision to restrict Prager’s videos. In addition, Prager didn’t sufficiently allege harm from these statements, for the reasons given above. Prager also alleged that it relied on false representations contained in the parties’ agreements: YT’s representations that Google endeavors to “help you grow,” “discover what works best for you,” and “giv[e] you tools, insights and best practices for using your voice and videos.” First, these claims were no more than puffery. Second, Prager lacked standing under the Lanham Act as a consumer. The court of appeals held that the Octane Fitness standard for “exceptional cases” applied to Lanham Act cases, and that the District Court here didn’t abuse its discretion in awarding attorney’s fees to Novella. As you may recall, Tobinick claimed that a treatment he created works for spinal pain, neurological dysfunction, and Alzheimer’s disease. Novella, a neurologist at Yale New Haven Hospital, wrote a blog post criticizing Tobinick’s treatment as unsupported by medical evidence, so Tobinick sued for (1) false advertising under the Lanham Act, and (2) unfair competition, trade libel, libel per se, and tortious interference with business relationships, all under state law. After pretrial motions, the district court granted summary judgment to Novella, holding that the blog posts weren’t commercial speech as required by the Lanham Act. Previously, the court of appeals had said that an exceptional case under the Lanham Act was one “where the infringing party acts in a malicious, fraudulent, deliberate or willful manner.” The District Court initially denied a motion for fees by one defendant (a nonprofit associated with Novella), determining that Tobinick had not pursued his Lanham Act claim maliciously or fraudulently. Novella also successfully brought a special motion to strike the state law claims under California’s anti-SLAPP statute, which was granted, entitling him to fees and costs as to those claims. The district court held that this was now an exceptional case, since a showing of subjective bad faith or fraud was no longer required under Octane Fitness. The court noted that it had twice before ruled against the plaintiffs on the issue of commercial speech, and even after this, plaintiffs repeatedly sought to multiply the proceedings by adding new parties and claims, moving for sanctions, and accusing Novella of perjury. The court awarded fees as to those expenses incurred after the order granting summary judgment for the nonprofit, over $220,000 (added to a smaller amount for the anti-SLAPP claims for a total of almost $260,000). Unsurprisingly, the court of appeals joined its fellows in holding that Octane Fitness’s interpretation of the identical patent statutory language applied equally to the Lanham Act. An “exceptional case” under the Lanham Act thus requires only that a case “stands out from others,” either based on the strength of the litigating positions or the manner in which the case was litigated. The court of appeals held that the district court didn’t abuse its discretion. That court had ruled against Tobinick in three separate orders, and “[p]laintiffs repeatedly failed to produce new arguments or evidence to distinguish the Court’s prior rulings.” After two adverse rulings on commercial speech, and more than eleven months, plaintiffs “repeatedly sought to multiply the proceedings by adding new parties and claims,” creating 131 new docket entries in 6 ½ months after that summary judgment, and bringing what the trial court viewed as baseless motions for sanctions and accusations of perjury. The court of appeals, however, didn’t place much weight on the fact that Tobinick continued litigating his case even in the face of a number of adverse rulings on whether the blog posts qualified as “commercial speech,” because that was an open question in this circuit, resolved by a published decision on the merits in this case. Even so, Tobinick’s manner of litigating his suit was enough to make it an exceptional case. Maestas allegedly bought a car battery from Wal-Mart that purportedly came with a replacement and refund warranty. When the battery malfunctioned and he tried to return it, Wal-Mart allegedly refused to give plaintiff a replacement or refund because his name appeared on an internal fraud database (based on allegations that he tried to use a bad check at a Colorado Wal-Mart in 2000, thirteen years before his purchase). Because he wasn’t warned of his ineligibility for the warranty, he sued under the usual California statutory claims on behalf of two putative classes of California consumers whose names also appear in Wal-Mart’s fraud database. The court denied a motion to dismiss. Maestas adequately alleged an unfair business practice under Rule 8(a). He explained how the alleged unlawful business act or conduct was “immoral, unethical, oppressive, unscrupulous, or substantially injurious to consumers.” The applicable test asks whether “the consumer injury is substantial, is not outweighed by any countervailing benefits to consumers or to competition, and is not an injury the consumers themselves could reasonably have avoided.” Maestas clearly identified the practice at issue: Consumers on the fraud database buy products in reliance on express replacement and refund warranties without any warning that the policies do not apply to them, then Wal-Mart refuses to honor the agreements when the consumers try to use those policies. He alleged that this practice of profiting from false promises didn’t benefit consumers, and that consumers cannot reasonably discover and avoid the injury because only Wal-Mart knows the information that will lead it to reject warranty claims. For alleged fraudulent practices, Maestas also satisfied Rule 9(b). The question was whether the public was likely to be deceived. Maestas identified what specific misrepresentations and omissions allegedly deceived him: his ineligibility for the warranties was omitted from all receipts and contracts, and he bought in reliance on the warranties. When he tried to return the battery, a Wal-Mart employee allegedly told him his ineligibility covered “any products” for as long as he remained in the fraud database. Wal-Mart also argued that, because the proposed class entitled to refunds included consumers who bought products other than the battery Maestas purchased, he hadn’t suffered an injury similar enough to his proposed class members to confer class standing. The court disagreed: the injury wasn’t based on the battery, it was based on the list and allegedly covered all product lines. Nor would the court strike class allegations; the certification stage was the more appropriate time to do that if appropriate. The plaintiffs bought iPhones and iPads with 16 GB capacity running earlier versions of iOS, which they later upgraded to iOS 8, which used anywhere from 18.1%-23.1% (2.9-3.7 GB) of the capacity and made it unavailable for personal storage. They alleged that, had they known this, they “would not have upgraded to iOS 8,” “would not have purchased the 16 GB of storage capacity or would not have been willing to pay the same price for it.” Further, Apple allegedly exploits this discrepancy between represented and available capacity by selling iCloud storage subscriptions and not allowing users to use cloud storage from other vendors. They brought the usual statutory California claims. iPhones and iPads are not hard drives; they are fully functional devices that come pre-installed with an operating system and applications. Consumers know and expect this. No reasonable consumer would buy an iPhone or iPad and not expect that it would not already include this software. Although an average consumer is not an engineer, software and computers are pervasive enough in the modern world that a reasonable consumer would at least expect that software would require some storage space. Second, a reasonable consumer might not have thought that iOS 8 would be so bulky. Apple didn’t make specific statements about its size either absolutely or in comparison to iOS 7. “In addition, a reasonable consumer is not a software engineer and would not be expected to know, as a matter of common knowledge, how much space iOS consumes or the relative size differences between iOS 7 and iOS 8.” However, plaintiffs didn’t sufficiently plead their claims with particularity. Their general statements about deceptiveness didn’t let Apple pinpoint which of its statements, or its materials containing omissions, gave rise to plaintiffs’ alleged expectations. Erickson, K. & Kretschmer, M. (2018) ‘This Video is Unavailable’: Analyzing Copyright Takedown of User-Generated Content on YouTube. Journal of Intellectual Property, Information Technology and ECommerce Law (JIPITEC), 9(1). copyright owners. We study takedowns within an original dataset of 1,839 YouTube music video parodies observed between January 2012 and December 2016. We find an overall rate of takedowns within the sample of 32.9% across the 4-year period. … The variables analysed include commercial substitution, artistic/moral concerns, cultural differences between firms and YouTube uploader practices. The main finding is that policy concerns frequently raised by rightholders are not associated with statistically significant patterns of action. For example, the potential for reputational harm from parodic use does not appear to predict takedown behavior. Neither does commercial popularity of the original music track trigger a systematic response from rightholders. Instead, music genre and production values emerge as significant factors. In particular, lower production values increase the risk of takedowns, contrary to the hypothesis that substitution would be a more-feared risk for higher-production-value parodies. A clear intent either to target the song itself or to use the parody to target some other entity both decrease the risk of takedowns, showing again that the satire/parody distinction is not a legally helpful one. From the conclusion: “The central finding is that rightholders appear to make complex choices that are assisted by automatic detection mechanisms, with little concern for the artistic integrity of the creative works they represent. The significant difference between musical genres suggests that rightholders, even in the same medium, behave quite differently from their peers. Ariix made a vigorous effort to qualify for the Gold Medal, but was denied. According to the complaint, NutriSearch admitted Ariix had met the standard, but refused to award the company the Gold Medal because it was reworking its criteria for the distinction. The existing Gold Medal holders, including Usana, were “grandfathered” in during this period. The allegedly false representations were (1) that Ariix or its products are not as good as Usana or its products and (2) that NutriSearch claims to be objective and neutral but is actually a shill for Usana. The court referred to, but didn’t exactly rely on, the Lanham Act’s “commercial advertising or promotion” requirement. The Ninth Circuit has adopted the Gordon & Breach test: 1) commercial speech; 2) by a defendant who is in commercial competition with plaintiff; 3) for the purpose of influencing consumers to buy defendant’s goods or services, 4) disseminated sufficiently to the relevant purchasing public to constitute ‘advertising’ or ‘promotion’ within that industry. As the court noted, Lexmark requires tweaks to 3), such as construing this element to require that the statements be made for the purpose of influencing consumers to buy particular goods or services—whether those are the defendant’s goods and services or someone else’s. But 1) and 4) remain good law. But the first and fourth elements were not implicated by Lexmark’s holding. The court found that, based on the allegations of the complaint, the Guide was noncommercial speech, with any arguably commercial elements inextricably intertwined with the Guide’s “overriding noncommercial purpose.” “NutriSearch itself does not sell any of the nutritional products reviewed in the Guide, and does not have an ownership interest in the companies that produce them…. [T]here is no allegation that NutriSearch solicits or accepts paid advertising or that it was paid in any direct fashion for promoting Usana’s or any other company’s products or disparaging Ariix’s.” However, in case Ariix could allege additional facts showing that at least some of the allegedly false or misleading commercial statements were separable from the noncommercial ones, the Court continued. This guide was not commissioned by any public sector or private sector interest, or by any company whose products may be represented herein. 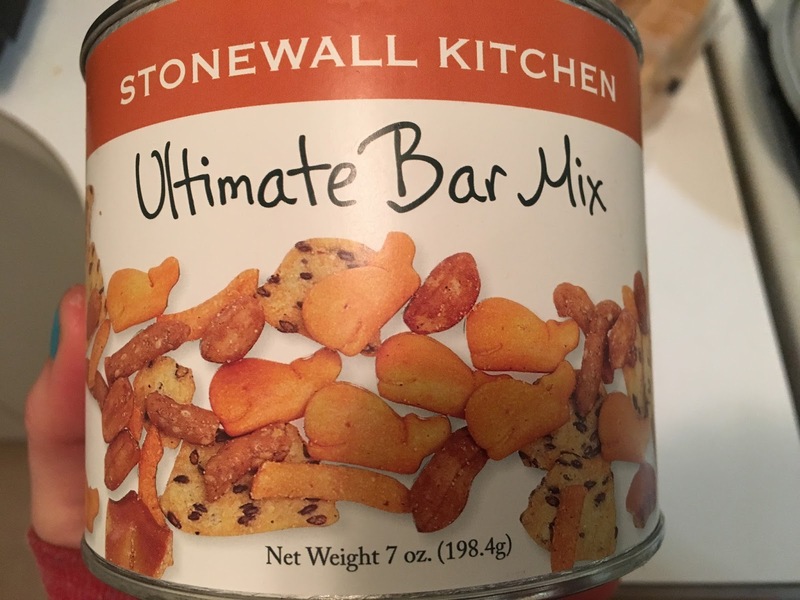 The research, development, and findings are the sole creative effort of the author and NutriSearch Corporation, neither of whom is associated with any manufacturer or product represented in this guide. These statements were arguably commercial speech only insofar as they encouraged people to buy the Guide. There was no allegation that the statements appeared anywhere other than inside the Guide itself, and thus they weren’t sufficiently disseminated to the relevant purchasing public to constitute advertising or promotion within the publishing or bookselling industry. Moreover, the court didn’t think they were commercial speech. Furthermore, the Guide’s statements touting its neutrality and reliability could only plausibly be connected with any harm to Ariix in connection with statements about Usana and Ariix, so Ariix’s claim could only succeed if the other statements were actionable. The complaint didn’t plead facts plausibly suggesting that the statements about Usana and Ariix were commercial speech, or even that they were false or misleading. The sheer numbers of companies reviewed suggested that the Guide was mainly in the business of reviewing a large number of different products, rather than promoting the purchase of a particular product or even one company’s products. The complaint plausibly suggested that the Guide was biased, but not that it was commercial advertising or promotion. The alleged ties between the Guide and Usana were that the author and NutriSearch’s current CEO were former Usana employees, and that the author originally conceived the Guide as a way to promote Usana’s products. “Given that the Guide is now on its fifth edition, facts surrounding its genesis years ago are not particularly suggestive of any current financial arrangement with Usana.” Favorability to Usana didn’t mean they were being paid to advertise Usana. The complaint alleged that Usana compensated NutriSearch indirectly, because it heavily promotes the Guide and “encourage[es] its representatives and consumers” to buy it. “In some circumstances, this might plausibly point to some kind of quid pro quo, but here it does not. It is entirely normal for a company whose products have been favorably reviewed in a particular publication to seek to publicize that fact as widely as possible.” In addition, the complaint alleged that the author accepted paid speaking engagements for Usana, but has at least once declined to speak at an Ariix convention. This could suggest some economic motive, but there were no factual allegations suggesting that the speaking fees were under-the-table payments for advertising, and so this suggested at most an indirect economic motive. In fact, the author’s decision to decline an opportunity to speak with Ariix indicated that he gave up money, which was inconsistent with using speaking fees as payment for advertising; Ariix implied that some kind of exclusivity arrangement existed, but didn’t adequately allege such an agreement. Finally, some of the challenged claims were opinion, not fact. The complaint alleged that the Guide’s ratings system was objective, but said almost nothing specific about NutriSearch’s ratings process or criteria for the Gold Medal award. “[T]he Guide’s role appears to be that of an evaluator that awards ratings up to five ‘stars.’” Although the plaintiff might not need to allege the exact way ratings were arrived at, without at least some allegations, it wasn’t plausible that the decisions about how rating criteria were selected and weighed were objective, making the ratings just opinion. Feud is a docudrama about film stars Bette Davis and Joan Crawford, in which Academy Award-winning actress Catherine Zeta-Jones plays de Havilland, a close friend of Davis. The trial court found that the portrayal was realistic and therefore not transformative. Noting that “this reasoning would render actionable all books, films, plays, and television programs that accurately portray real people,” the court of appeals reversed. The de Havilland role takes up less than 17 minutes of the 392-minute, eight-episode miniseries. It’s mostly: (1) a fictitious interview in which Zeta- Jones talks to an interviewer about Hollywood, its treatment of women, and the Crawford/Davis rivalry; and (2) scenes in which Zeta-Jones interacts with Susan Sarandon playing Bette Davis, her close friend. De Havilland’s expert calculated the fair market value of FX’s “use” in Feud of de Havilland’s “rights” to be between $1.38 and 2.1 million, or $84,000 and $127,000 per minute of screen time. De Havilland also submitted declarations from two men with “many years of experience in the entertainment business” claiming that “standard practice” in the film and television industry is to obtain consent from any “well-known living person” before her or his “name, identity, character[,] or image” can be used in a film or television program. FX contested these declarations, including with a declaration from Casey LaLonde, Joan Crawford’s grandson, who is portrayed in Feud although he neither granted consent nor received any compensation for this portrayal. De Havilland relied on Eastwood v. Superior Court, a 1983 California appellate case “which arose from an unusual set of facts,” in which a tabloid published an article about the supposed involvement of famous actor Clint Eastwood in a “love triangle.” Eastwood alleged the article was entirely false, and the court of appeals allowed him to proceed with his right of publicity claims. “Here, by contrast, the expressive work at issue is an eight-hour docudrama of which the de Havilland character is but a small part. Moreover, as discussed below, the scenes and lines of which de Havilland complains are permissible literary license and, in any event, not highly offensive to a reasonable person. Unlike Eastwood, Feud’s creators did not make out of whole cloth an entirely false ‘article’ for economic gain.” This is a beautiful example of a set of statements that identify factual differences between the cases, but do not explain why the differences matter to whether the right of publicity (a distinct tort from defamation/false light) can be violated. After all, Eastwood was also brought by a man, not a woman, and against a tabloid, not a TV show—but so what? This discussion further strengthens my discomfort with the court’s later treatment of transformativeness, which suggests that a character who is the focus of a narrative may have a right of publicity claim even if de Havilland doesn’t. De Havilland also argued that the fictitious interview “is structured as an endorsement of [Feud].” The court of appeals disagreed, based on the content of the miniseries itself. The court found no authority to support the reasoning that “whenever a filmmaker includes a character based on a real person, that inclusion implies an ‘endorsement’ of the film or program by that real person.” Nor did the use of de Havilland’s name and photographs of Zeta-Jones in advertising for the miniseries support a right of publicity claim, since the constitutional protection of a publication extends to advertising for the publication. Anyway, the portrayal of de Havilland was transformativeness. Now here comes some real nonsense: “Comedy III’s ‘transformative’ test makes sense when applied to products and merchandise – ‘tangible personal property,’ in the Supreme Court’s words. Lower courts have struggled mightily, however, to figure out how to apply it to expressive works such as films, plays, and television programs.” [Which, as we know, are never instantiated in tangible personal property, and cannot be reduced to mere merchandise such as books and DVDs, thus making them unlike the nonexpressive images found on T-shirts and lithographs. OK, just imagine me making Charlie Brown aaaargh noises, because if the court can’t write a meaningful sentence than neither can I.] In a footnote, the court notes our amicus brief expressing doubts about the transformativeness test. The court of appeals focused on the fact that the de Havilland role constituted only about 4.2% of Feud and noted the many other stories the show told, making the likeness of de Havilland “one of the ‘raw materials from which [the] original work [Feud] is synthesized.” The show’s “marketability and economic value” does not “derive primarily from [de Havilland’s] fame” but rather “comes principally from . . . the creativity, skill, and reputation” of Feud’s creators and actors. The court concludes that, “While viewers may have ‘tuned in’ to see these actors and watch this Hollywood tale, there is no evidence that de Havilland as a character was a significant draw.” By implication, it seems, the analysis of Davis and Crawford’s publicity claims would have to have proceeded differently, and a biopic focusing on a single person ought to worry, which just goes to show that transformativeness is not a good test. The false light claim also failed; false light requires that the falsity be highly offensive to a reasonable person. “In light of the actual docudrama itself -- which we have viewed in its entirety -- de Havilland cannot meet her burden.” First, the court questioned whether a reasonable viewer would interpret a docudrama as entirely factual, rather than as a form in which “scenes, conversations, and even characters are fictionalized and imagined.” But even assuming the scenes would be seen as literal statements of actual fact, Feud’s depiction wasn’t defamatory nor would it “highly offend” a reasonable person. “Granting an interview at the Academy Awards is not conduct that would subject a person to hatred, contempt, ridicule, or obloquy.” Generally, “Zeta-Jones acts as a guide for the viewer through the tale, a Beatrice to the viewer’s Dante. Zeta-Jones plays de Havilland as a wise, witty, sometimes playful woman,” characteristics de Havilland displayed in actual interviews. “Taken in its entirety and in context, Zeta-Jones’s portrayal of de Havilland is overwhelmingly positive….The work itself belies de Havilland’s contention that Zeta-Jones portrays de Havilland as a ‘vulgar gossip’ and ‘hypocrite.’” An offhand remark to de Havilland’s good friend Bette Davis while they are alone in Sinatra’s dressing room that he must have drunk the liquor wouldn’t be defamatory or highly offensive to a reasonable person, given that Sinatra’s fondness for alcohol was well known. In conclusion, the court of appeals summarized the Catch-22 created by the trial court’s ruling: “If [creators] portray a real person in an expressive work accurately and realistically without paying that person, they face a right of publicity lawsuit. [This part of the dilemma is apparently ok for people who work in static representational art, per Saderup.] If they portray a real person in an expressive work in a fanciful, imaginative -- even fictitious and therefore ‘false’ -- way, they face a false light lawsuit if the person portrayed does not like the portrayal.” The trial court was ordered to grant the anti-SLAPP motion and award defendants their attorney fees and costs. I bought these for a party and had a student indicate that she experienced initial misrecognition in the bowl (hard to say "interest" because she wasn't the purchaser). Would any orange cracker that isn't square risk confusion with Goldfish crackers? PS if you got the title reference, you are my people. An eagle-eyed (no pun intended) student spotted this admissions video from Boston College with a distinctly Harry Potter flavor. Or maybe that ought to be Hermione Granger. In sum, our field data suggest that consumers indeed stand to benefit from being strategic in query formation, as shorter queries may be at least as effective at retrieving desired content, compared to queries that contain all the terms the consumer is searching for. The fact that consumers tend to prefer shorter queries makes these shorter queries even more attractive…. To sum up, the behavior we observe suggests that participants are able to strategically leverage activation probabilities between words, at least to some extent. Because our study uses a somewhat artificial lab setting, we do not claim that the extent to which consumers leverage activation probabilities in the real world is the same as in our study. Instead, we view our results as proof of existence that consumers have some ability to strategically formulate queries that contain only a subset of the terms they are interested in, but that are effective at retrieving the other terms…. Our fndings suggest that the content that is of interest to consumers is not simply the content mentioned in their search queries, but also the content retrieved by their search queries. The parties compete in the market for hardware/software systems used to view microform on a screen and convert it into digital files. [Microform! Good to know some things are still around.] The systems cost thousands of dollars and are sold to institutions like libraries, universities, and businesses. Each party uses resellers who compete directly for many sales through a process that often includes bidding, in-person product demonstrations, and hands-on customer testing.Plaintiff e-Image sells the ScanPro and defendant ST Imaging sells the ViewScan, allegedly falsely advertising its optical zoom capabilities and camera megapixel capabilities, as well as its UL certification; “UL did not certify any of the ViewScan devices until December 2015—when it certified the ViewScan III—but brochures for all 3 devices, published months and years earlier, indicate UL certification.” e-Image also alleged that ST Imaging falsely or deceptively equated its ViewScan devices with e-Image’s competing ScanPro devices. e-Image also asserted claims arising out of a failed bid protest that it lodged with the GAO after the National Park Service awarded a contract for “one camera microfilm scanner” to an ST Imaging reseller. e-Image argued that ST Imaging’s product did not meet the terms of the government’s solicitation, which required that the scanner’s “camera have a ‘minimum 25 megapixels.’ ” The GAO rejected e-Image’s proposed interpretation as unachievable by any commercially available product. The GAO made two relevant published findings: (1) e-Image “knew that the ordinary convention in the industry was to represent camera megapixels in terms of the camera sensor itself” and, thus, (2) the “camera sensor resolution” for the ScanPro 3000 is “6.6 megapixels,” not “26 megapixel[s],” as e-Image continues to assert. ST Imaging then emailed its authorized resellers: “If you are in a bid and your prospect says that the competition has a 26 megapixel camera, please use [the GAO’s decision] to show that they only use a 6.6 megapixel image sensor.” e-Image alleged that ST Imaging attacked its reputation by claiming that e-Image lies about its own products’ specifications. Materiality: e-Image was not required to “prove that a specific commercial statement by ST Imaging actually affected a specific purchasing decision by a specific customer.” Courts “generally only require a likely, as opposed to an actual, effect on consumer choice.” A reasonable jury could find materiality, given record evidence that institutions looking to purchase microform systems commonly set requirements for bids, including minimum requirements for a scanner’s “optical zoom lens” and “camera megapixels,” and that the proposed product be certified as meeting applicable product safety standards, like UL’s. ST Imaging’s resellers represented compliance with these standards, at least in part, by submitting prefabricated marketing materials from ST Imaging. This raised a genuine dispute on materiality. No reasonable consumer would think that Martin endorsed the footbags. The appearance of “Guinness World Records” on the footbag might prompt a reasonable consumer to conclude that Guinness—not Martin—is associated with the footbag. Martin’s name on the instruction card simply identifies him as the holder of a record, not the endorser of any product. Every time I think I’ve seen it all, I’m reminded that humans are not only stranger than we imagine, they are stranger than we can imagine. Rachel Nunes sued Tiffanie Rushton for copyright infringement, defamation, etc., mostly unsuccessfully except for the copyright claims, leaving for trial only the amount of the statutory damages award for copyright infringement. In May 2014, Rushton also created about fifteen “sock puppet” accounts on Google, Yahoo, Goodreads, and Facebook to post positive reviews of her previous two novels and negative reviews of Nunes’s book. She also posted two negative Amazon reviews of A Bid for Love under her own name and two under sock puppet names. Nunes’ claim for actual damages failed. Nunes didn’t argue that the infringement caused the sales of her existing novels to suffer, and Rushton never sold any copies of her infringing novel to the public for disgorgement purposes. Nunes instead alleged that Rushton’s copyright infringement caused her mental anguish and prevented her from writing two novels that she would have otherwise written during this timeframe. The court determined that “actual damages” as used in the statute didn’t include damages caused by the copyright owner’s emotional response to the infringement of a published work. “[T]he explicit provision for the recovery of the infringer’s economic profits in the Act strongly suggests that the copyright owner’s ‘actual damages’ must similarly be economic in nature,” and the case law agrees. Thus, only statutory damages remained for trial. The defamation/defamation per se claims failed because the online comments and emails were opinion about Nunes’s books and personality traits, hyperbolic claims of “harassment,” “scam” or “fraud,” or unpublished communications sent only to Nunes. For example, in context, “readers would understand the use of the terms ‘fraud’ and ‘scam’ as exaggerated language expressing strong disapproval of Nunes’s efforts to raise money online, not as a charge of criminally fraudulent activity.” As for “Ask your attorneys if in your quest to investigate and have people rally around you if you are guilty of harassment. I think the answer is yes,” that could be read to express a legal opinion, but even questionable opinions about the legal significance of Nunes’s actions aren’t actionable as defamation. False light claims failed for the same reasons as the defamation claims. Business disparagement/injurious falsehood: A business disparagement claim “concerns statements regarding the quality of the plaintiff’s product or the character of the plaintiff’s business,” and not “statements about an individual’s reputation.” Rushton disparaged the quality of Nunes’s novels, giving them numerous one-star reviews and criticizing them for being “out of date” and “ridiculous.” These wer constitutionally protected opinions, and Rushton’s other online comments couldn’t be used to support her claim for the same reason the defamation claims failed. Tortious interference: Rushton allegedly interfered with Nunes’ economic relations with the readers who purchase her books by way of two improper means: (1) posting defamatory comments on the internet and (2) infringing Nunes’s copyright to A Bid for Love. But the first wasn’t an improper means, given the result on the defamation claims, and the second was preempted by the Copyright Act. Nunes also alleged a violation of Utah’s electronic communication harassment statute. But the statute didn’t expressly create a civil cause of action, and the court wouldn’t imply one. Lanham Act false advertising: Nunes alleged that the use of multiple sock puppet accounts to post positive reviews of her books and negative reviews of Nunes’s books constituted false advertising. First, Rushton pretended to be an independent reader, not the author herself/the author’s competitor. Second, by using multiple sock puppet accounts, Rushton allegedly created the false impression that multiple individuals liked her books and disliked Nunes’s books. Nunes didn’t submit evidence of actual deception, so she needed to show literal falsity. The court relied on Romeo & Juliette Laser Hair Removal, Inc. v. Assara I LLC, 2016 WL 815205 (S.D.N.Y. Feb. 29, 2016), another case involving fake reviews. There, the court found that fake bad experiences of non-existent customers were literally false because they described events that never occurred and fictitious customers that did not exist. But reviews posted under three separate pseudonyms by an owner of a competing business who was an actual customer of the plaintiff, claiming that the services was slow and that the plaintiff’s employees were rude, weren’t literally false because they were “largely matters of opinion and the plaintiff [had] not shown that they are actionable as false statements of fact.” But that’s not really the literal falsity part: the literal falsity is the misrepresentation about being someone else (and about having three separate experiences instead of one). Whether that literal falsity is material is a separate matter, but it might well be so, and the FTC’s Endorsement Guidelines follow the principle that falsity/failure to disclose in these matters violates the FTCA even without other specific factual claims, because of the materiality of endorsers’ connections to the endorsee. I certainly would find it highly material that the author of a review was a direct competitor, or was also the provider of the reviewed good/service. Also, the Lanham Act claim failed separately because Nunes didn’t show any damages or injury. Nunes offered the testimony of her expert that negative online reviews generally negatively affect book sales, and the lay opinion of a representative of Amazon, as evidence that she had been harmed. But Moore didn’t analyze Nunes’s book sales and didn’t know whether her sales went up or down after Rushton posted her reviews, nor could she assign a monetary value to the effect online reviews may have; her opinion was based on common sense. The Amazon rep also provided his lay testimony that bad reviews generally discourage sales. [My understanding is that there is some research out there trying to quantify this, for those of you thinking about the future of these claims.] Without evidence as to the specific effect that Rushton’s online reviews had on Nunes’ books, or about sales during the relevant period of time, or customer surveys or customer testimony, there was no proof to support Nunes’s damages claim for lost sales. Damages caused by mental anguish also weren’t covered by the Lanham Act. Utah Truth in Advertising Act claims also failed; the law provides that a defendant who’s violated the law “shall” be enjoined, but also requires prior notice and an opportunity to correct the allegedly unlawful ad by the same media before injunctive relief is allowed. Nunes’ prelitigation emails and a blog post complained about plagiarism and copyright infringement, not about the alleged violation of the Utah Truth in Advertising Act, and it didn’t provide Rushton an opportunity to correct the record in order to avoid an injunctive relief action. Damages failed for the same reason as they did for the Lanham Act claims. SportPet sued Cat1st for patent, trademark, and copyright infringement and violations of Wisconsin's Deceptive Trade Practices Act based on its sale of pet products such as play structures for cats. 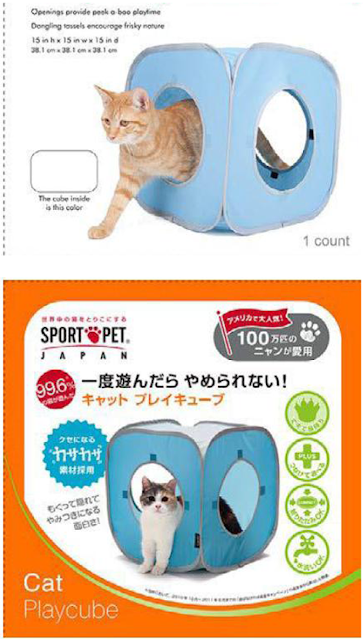 SportPet alleged infringement of two registered trademarks: POP OPEN for collapsible containers for household use [containers that … pop open?] and SPORT PET DESIGNS for pet kennels, beds, and bedding and pet toys. SportPet wasn’t assigned the POP OPEN mark until after it brought this action, so it lacked standing to assert a claim for infringement. Even if it could establish standing, the complaint didn’t plausibly suggest infringement. Not strengthening the claim for the distinctiveness of the mark, the complaint alleged that “Cat1st is violating SportPet's . . . Pop Open trademark” by “using and advertising the pop open design,” which “is a protectable mark.” But the word mark (if mark it be) does not protect “the pop open design” (which presumably would have its own functionality issues if claimed as a mark). The complaint also alleged that “Cat1st's packaging and advertising copies” language from SportPet, e.g., “pop open, sturdy and lightweight, for travel, and convenient for carrying”—“almost word for word.” That wasn’t enough here. Examples in the complaint showed Cat1st’s use of similar terms to those used by SportPet—e.g., “sturdy,” “lightweight,” “for travel,” and “for your carrying convenience”—none used the specific phrase “pop open” (or a colorable imitation of it) in any way, much less as a distinguishing and source-identifying mark. Cat1st argued that the issue was whether its logo infringed SportPet’s standard text mark. But that’s not so: trademark cases evaluate the marks “in light of what happens in the marketplace.” [citing me!] The court also rejected as outside the pleadings Cat1st’s argument that its uses were all “from packaging for products sold in Japan under an exclusive license agreement” between the parties, “where Cat1st lawfully owns the trademark registration for ‘Sport Pet Japan.’” Likely confusion was sufficiently pled. The court also dismissed a claim under Wisconsin's Deceptive Trade Practices Act alleging that Cat1st misrepresented “to the public . . . that [it is] selling SportPet’s products” and “misrepresent[ing] to [SportPet] that [it] only sold the infringing products in Japan.” Cat1st’s misrepresentations to the public allegedly caused SportPet to lose sales due to customer confusion and Cat1st’s misrepresentations about where it was selling its goods allegedly allowed it avoid legal action as it snuck into the U.S. market. The court found that SportPet didn’t plausibly allege that the misrepresentations caused SportPet any pecuniary losses recoverable under the DTPA, because misrepresentations to consumers didn’t materially induce SportPet itself to act, as required. And Cat1st’s alleged misrepresentations to Sport Pet didn’t contribute to SportPet’s decision to buy anything or otherwise enter into any commercial transactions as a consumer of goods or services, also required by the DTPA. Bovinett, a model and actor, participated in a photoshoot for HomeAdvisor. Bovinett’s agent was allegedly assured that the photos would be used in static form only (i.e., either in print media or as a static image posted on a website), and would not be incorporated into any video. Two weeks later, Bovinett’s agent signed a consent and release form stating that Bovinett agreed to convey his rights in the photos to HomeAdvisor for use “in advertising, promotions, and any other use, and in any media, desired by HomeAdvisor in its sole discretion, including but not limited to display on the HomeAdvisor website, in television commercials, and on the Internet.” HomeAdvisor’s personnel allegedly assured Bovinett’s agent that notwithstanding the consent and release language, HomeAdvisor would not put the photos to use in any video format. Then it did. Fraudulent inducement: Claims involving a false statement of intent regarding future conduct are generally not actionable under Illinois law, unless they are “particularly egregious” or are part of a larger scheme. These alleged misrepresentations weren’t particularly egregious, nor did Bovinett allege a pattern; two different statements about non-video use could in theory be a pattern, but Bovinett didn’t sufficiently allege the first statement with specificity. Nor was fraudulent concealment properly alleged; this requires that the defendant concealed a material fact when under a duty to disclose that fact, but some sort of fiduciary or confidential or other special relationship is required and none was alleged. Lanham Act/Illinois Consumer Fraud and Deceptive Business Practices Act/Illinois Uniform Deceptive Trade Practices Act: Bovinett failed to allege any false statement. And the likely confusion claims failed because there could be no confusion about Bovinett’s affiliation, sponsorship, or approval of defendants and/or their activities and services. “Bovinett admits he agreed to pose as a model for HomeAdvisor’s photoshoot with the knowledge that HomeAdvisor intended to use those photos in advertising. … [T]he allegedly tortious commercials might well leave viewers with the impression that Bovinett endorses HomeAdvisor. But that impression is accurate, at least as of the time Bovinett sold his rights in these photos, so the impression cannot confuse anyone.” The court doesn’t discuss the rump confusion theory that viewers would be confused about whether he authorized video use—which could hardly be material to anyone, even if for some extremely unlikely reason the matter occurred to them. Nearly a year later, one Redbox official wrote in an email, “I think that’s false advertising[.] We are day and date for most,” then asked the CEO whether DVDXpress’s red kiosks infringed Redbox’s “trademarks or other IP.” The CEO replied: “No it does not. We have looked at [sic] many times. Nothing we can do except get these locations.” Four months later (15 months after learning of the comparative advertising) Redbox sent a C&D. More than three months after that, Redbox sued. Given this recitation of the facts, you won’t be surprised to learn that a preliminary injunction was denied due to Redbox’s delay. The court didn’t even consider whether eBay changed the Lanham Act presumption of irreparable injury (it does) because the delay would rebut any presumption. Redbox argued that it didn’t delay in bringing the false advertising claim because it sought relief based only on DVDXpress’s advertising regarding DVDs released between December 2016 and July 2017. But the content of DVDXpress’s advertising—“Rent it here first 28 days before … Redbox”—hadn’t changed since early 2016. Redbox argued that DVDXpress’s comparative advertising was only “partially false” in early 2016, and that Redbox brought suit when the advertising became false as to more DVDs through new agreements with Warner Bros., Fox, and Universal Pictures decreasing the delay between a DVD’s release and its availability at Redbox kiosks. If there had been a 28-delay for all such films in early 2016, then waiting to sue would have been a good idea. But of the 24 recent movies Redbox claimed to have available within 28 days, only 8 were distributed by these studios. There was no evidence that DVDXpress’s advertising as to those studios’ DVDs was any less false in early 2016. And even as to those studios, Redbox was releasing some DVDs from them earlier—five out of the 8 it named were distributed before the new agreement. Thus, the comparative advertising couldn’t have converted to “substantially false” as a result of those agreements. Indeed, the emails showed that people at Redbox believed the advertising was false in early 2017. Elodie Passelaigue is a professional fashion model who sued under the Lanham Act, Washington state law, and New York law against Getty, Bill Diodato Photography, and Bill Diodato (no stranger to IP litigation) for unlawfully licensing and selling images of her that were eventually used to advertise synthetic beauty products. The court dismissed some claims but allowed others to continue. In 2009, Passelaigue was hired to model for a photo shoot in New York for Spiegel, and Diodato photographed that shoot. Diodato allegedly took about a dozen headshots of Passelaigue without Spiegel’s consent, and told Passelaigue the headshots were “precautionary, in case Spiegel later decided it wanted to use the images for the cover of a catalog.” Passelaigue didn’t sign anything at the 2009 Spiegel photo shoot. In 2014, Passelaigue learned for the first time that her headshots were being used for an advertising campaign for Botox and on an Allergan website, www.skinmedica.com. The webpages allegedly falsely suggest that Passelaigue was at least in her 40s. Allergan allegedly continued to use Passelaigue’s images in its advertising campaigns until 2016. Passelaigue’s agent investigated, and eventually Getty provided a copy of the Release containing a handwritten date of “6-11-09” under her name, and the phrase “Clinique Underwater Shot [sic] & Spiegel Beauty” on the line designated for “Description of Shoot,” both written by someone else. This Release also included two sample headshots, one from each shoot. Getty eventually identified the photographer as “Adrianna Williams,” who was selling other models’ photographs through Getty, but other models hadn’t heard of her either, and Passelaigue determined that the photographer was in fact Diodato. Nor was the Release voidable because, “for a high-end fashion model, the limitation of $500 in damages, as well as the prohibition on any objection to unflattering, embarrassing, or otherwise objectionable uses, are unconscionable terms.” Although the allegations in the complaint suggested “some deceptive tactics,” they didn’t rise to the level of depriving Passelaigue of “meaningful choice,” as required for unconscionability. “The Release is short—one page—and afforded Plaintiff with the opportunity to easily disprove Diodato’s alleged oral promises that he would only use the photographs for his portfolio.” Passelaigue didn’t allege that her bargaining power, experience, and/or education were limited, or that she was under any sort of duress or pressure to sign the release without reading it, and she admitted that she signed it as a “professional courtesy.” Thus, there were no allegations that Diodato did anything so as to effectively deprive Passelaigue of a meaningful choice. The same arguments disposed of her fraud claim. The court also disposed of defendants’ First Amendment defense. “The photographs here are entirely commercial in nature. They were commissioned by companies seeking to use them in advertising campaigns, and any artistic expression added by Diodato as the photographer was incidental.” Nor was Section 51 preempted by §301 of the Copyright Act, because of the additional element of use of the image for advertising or trade purposes without written consent. Passelaigue’s Lanham Act claims mostly failed. Her allegations were that defendants violated the Lanham Act by (1) misrepresenting that Getty had the right to license or sell photographs of her; (2) using the fictitious name of Adrianna Williams as the name of the photographer, which was likely to cause confusion as to the origin of the images; and (3) contributing to Allergan’s use of her image in a way that falsely associates her with synthetic cosmetic products. However, Passelaigue had no rights to the photos themselves. “[H]er only plausible claim can be based on harm to her image, and its false association with another product.” Thus, alleged misrepresentations (1) and (2), as well as allegations that Diodato contributed to Getty’s acts, failed to state a claim; even if she did have rights to the photos, Dastar would bar those claims. As for NY consumer protection law under Section 349, allegations that Getty misrepresented its right to license were too conclusory to state a claim, or explain how the alleged misrepresentation actually targeted or harmed consumers. The court refused to dismiss class allegations at this stage of the case.